Eunisell Energy has rewarded Kano Pillars striker Junior Lokosa for finishing top of the goals’ chart in the last NPFL season. Lokosa netted 19 goals in the 24 rounds the league was played. 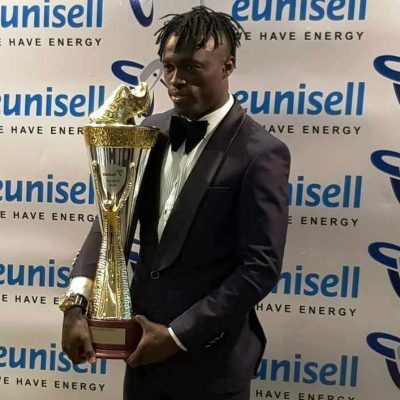 Eunisell, which is the shirt sponsor of NPFL club Rivers United, gave Lokosa a trophy and a cash prize of 3.8 million Naira for his goals at a ceremony in Lagos today. 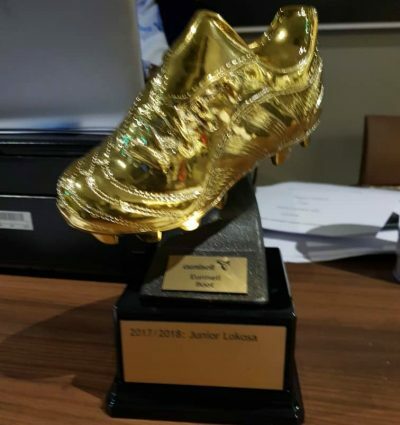 This is the inaugural Eunisell Boot for the NPFL hotshot. It will be an annual event to reward the player who emerges as NPFL Goal King.